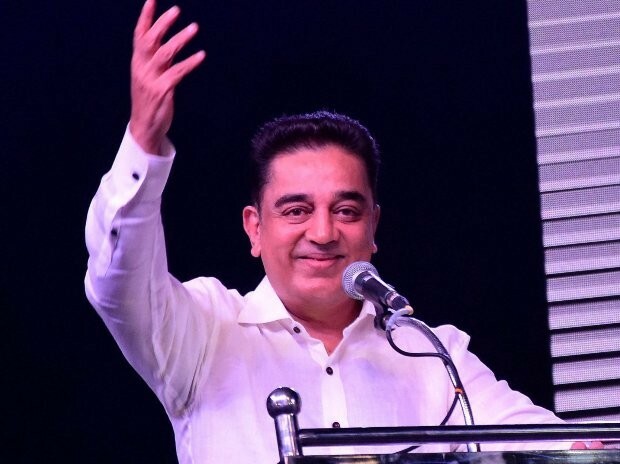 Actor-turned-politician Kamal Haasan on Wednesday formally launched his political party called Makkal Neethi Maiam (People Justice Centre). He also unfurled his party's flag, which has six hands - three in red and three in white - joined together around a star on a white background. 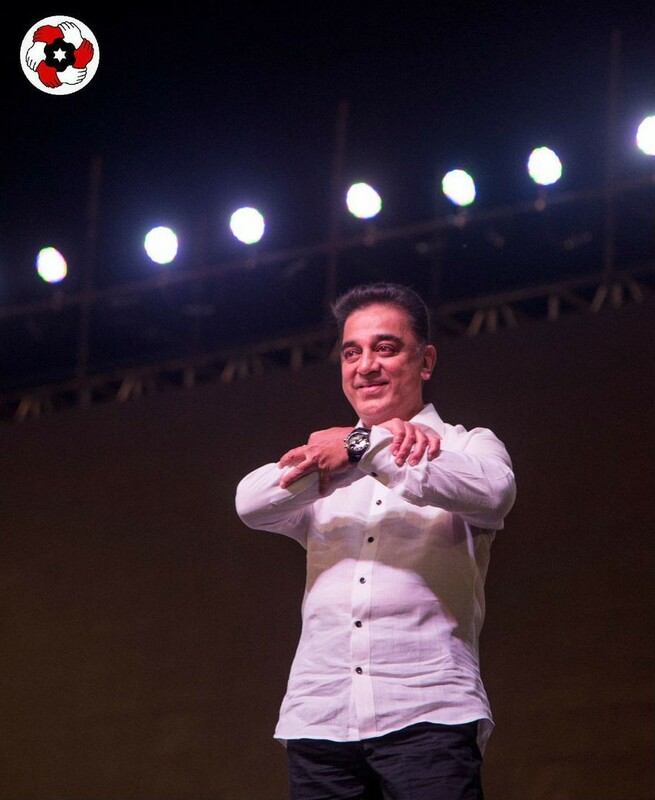 Delhi Chief Minister Arvind Kejriwal, and former Delhi Minister Somnath Bharati were also present in the public meeting in which Kamal declared the party's name and flag.